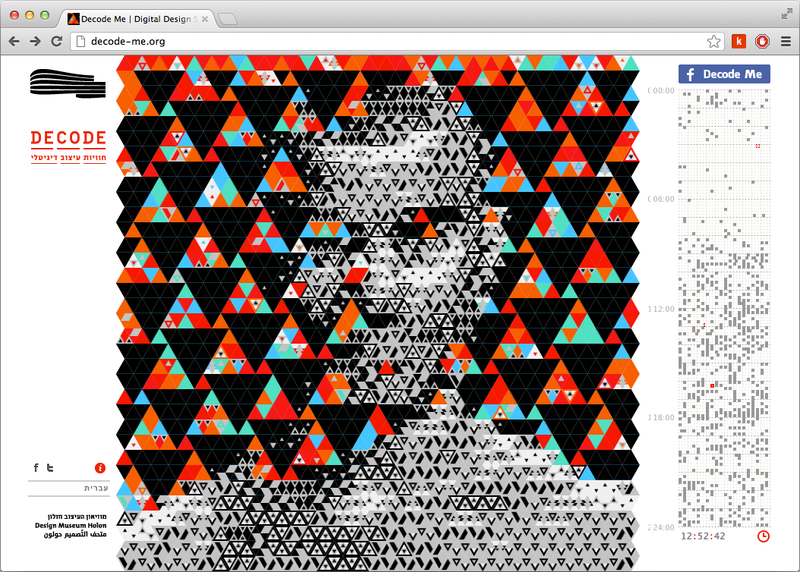 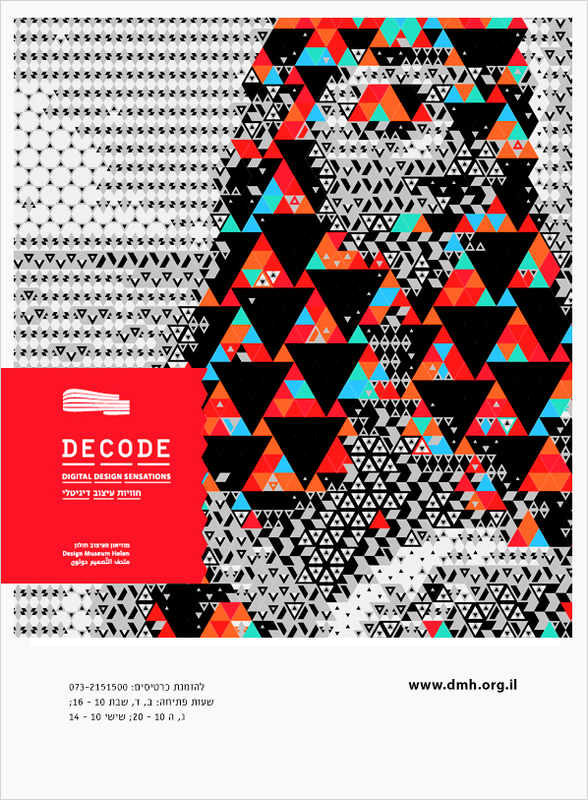 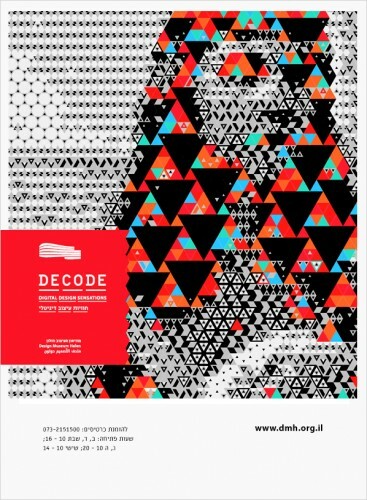 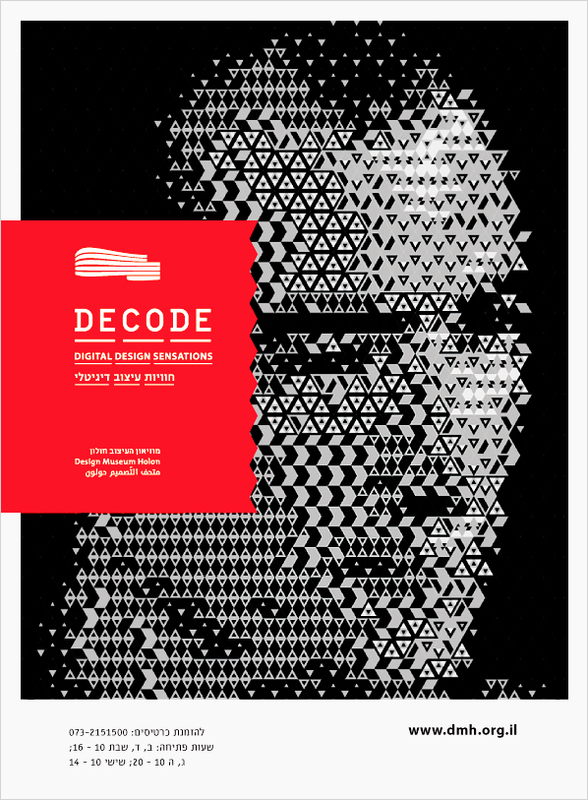 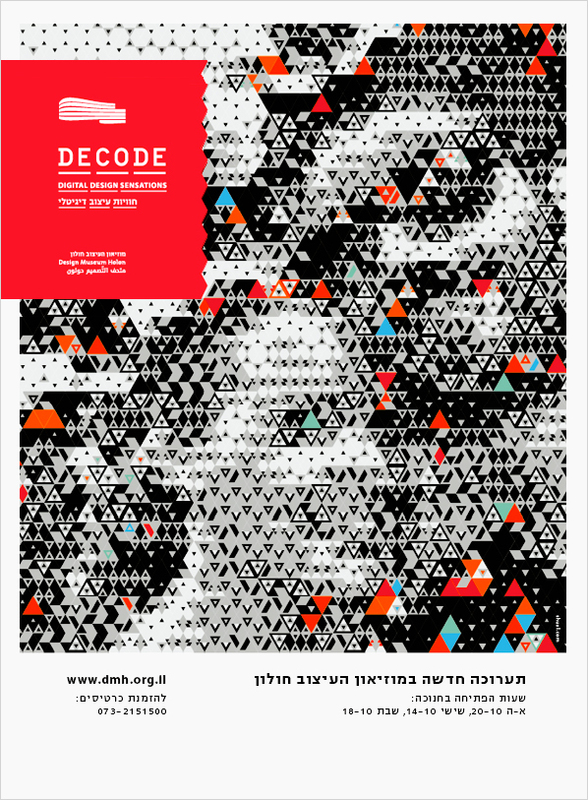 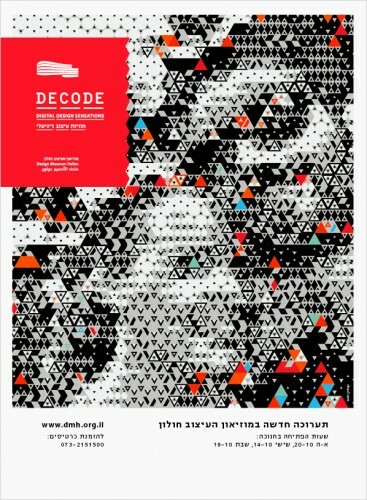 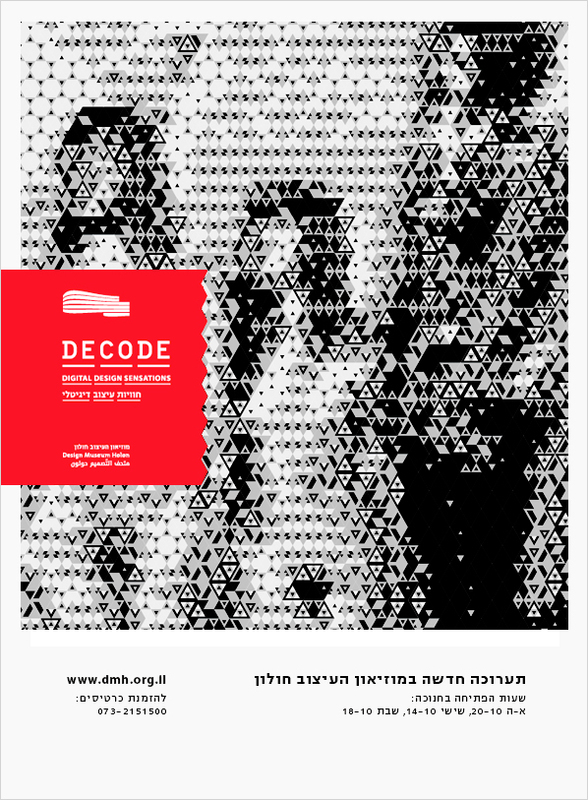 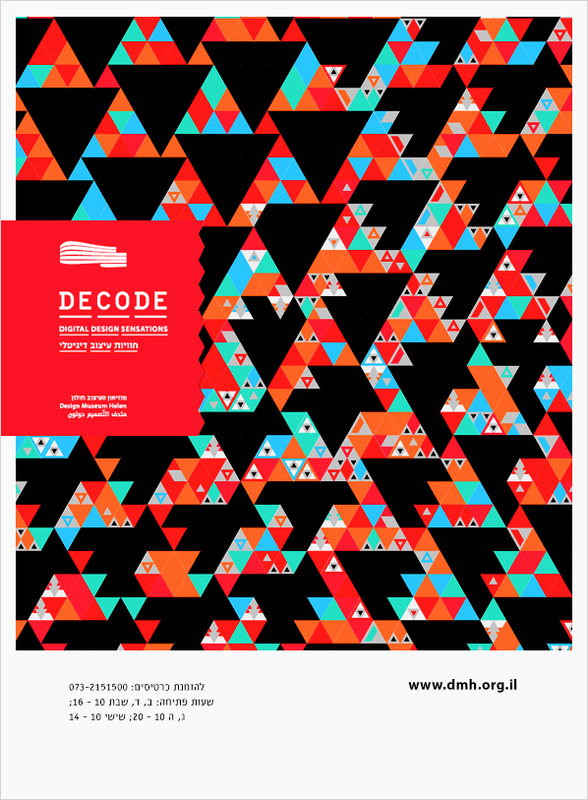 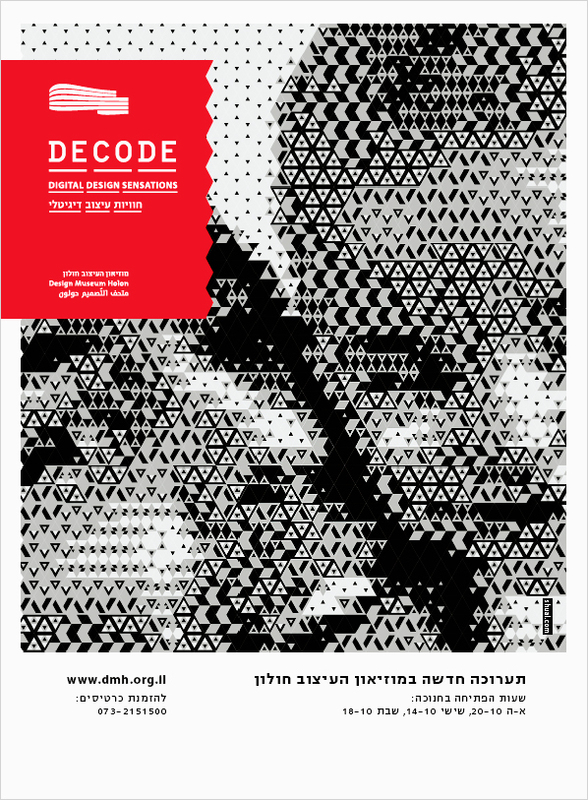 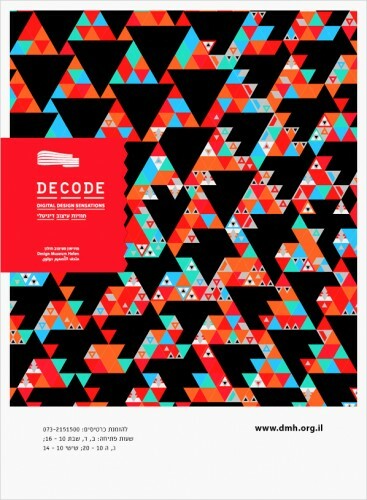 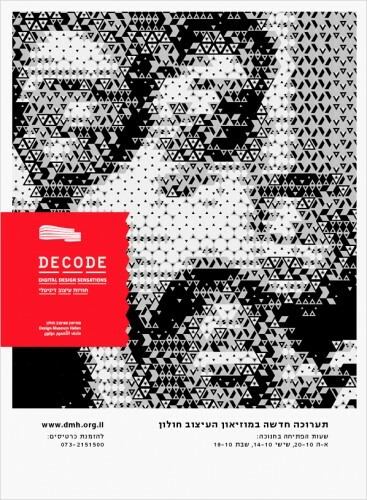 Viral promotion site for the Decode exhibition at the Design Museum -�Holon. 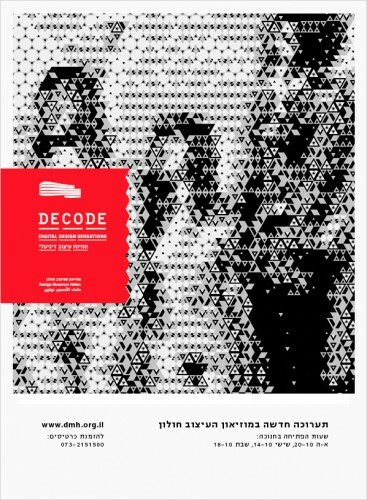 Participants were invited to “decode” their Facebook profile image into an animated graphic composition of rectangular pattern. 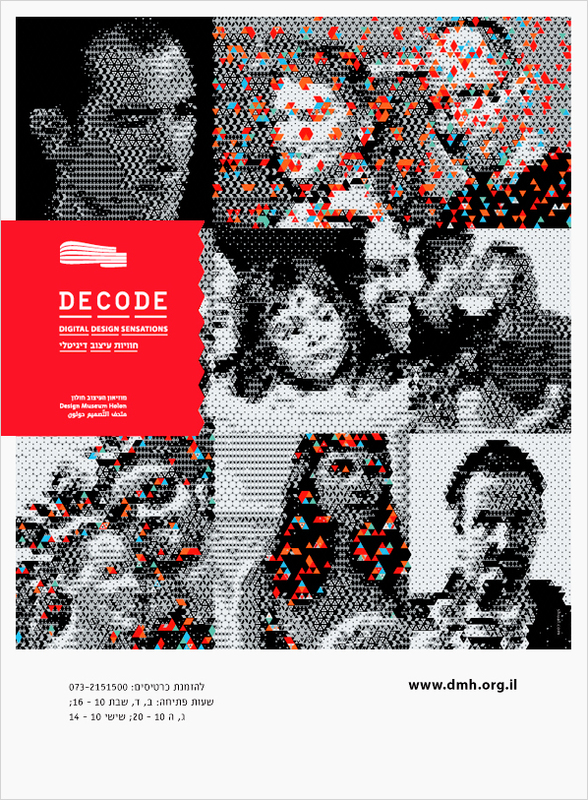 By connecting they claimed their timestamp on a 24 hour timeline.�Every day, the person whose profile picture appeared for the longest time on the timeline won a free entry ticket to the exhibition. 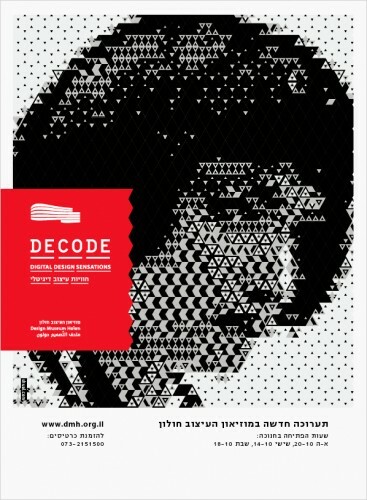 The web application and the “decoded” images were the basis for the graphic identity of the show.